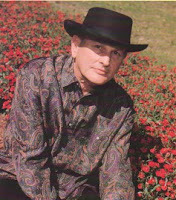 Willienelson.com just received word that singer Jimmy Elledge has passed away after complications following a stroke. He had a huge hit in the 60's with the song Funny How Time Slips Away. Here's a link to hear his version of the Willie Nelson classic. Our condolences go out to his family, friends and many fans. Elledge got his start in music in his home state of Mississippi's Future Farmers of America Hillbilly Band; however, Jimmy specialized in the rock songs, often playing Jerry Lee Lewis numbers. At the age of 18, Elledge sent a demo tape to Chet Atkins and was signed to RCA. His first single, a cover of the Willie Nelson penned Funny How Time Slips Away, went to number 22 on the pop charts (although it didn't make the country top forty) in early 1962 and earned him a gold record. While Elledge would never again see that kind of success, he did find regional success with a number of other labels from the mid-60's on such as Hickory, Spur and Little Darlin' Records. He eventually found a musical home in New Orleans where he has been a part of the scene for over four decades. Elledge was well known for his five-octave range, he Floyd Cramer-style piano and his ability to perform in almost any genre. Jimmy Elledge did not pass away. He is very much alive. There is someone posting all over the place that TheJimmy (Slim) Elledge passed away. There is another Jimmy Elledge much younger. He is not the one who made Funny How Time Slipped Away, first. I am "The Jimmy (Slim) Elledge personal caregiver. Jimmy is doing very well and I get to hear him sing every day that I am there with him. He talks of all of his good days of singing and praises Willie for writting his #1 best and only top seller. Please if anyone sees the post that Jimmy Elledge passed away please correct these post. Let Jimmy (Slim) Elledge is still with us.